Krzysztof Ruchniewicz, PhD (*1967), is a professor at the University of Wrocław (since 2009) and director of the Willy Brandt Center for German and European Studies there. He studied history and East-European history at the University of Wrocław, at the University of Saarland in Saarbrücken, and at the Philipps University in Marburg. 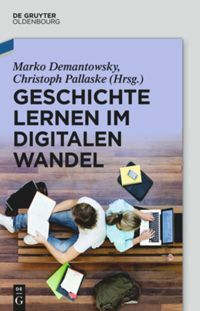 PhD (2000): „Warsaw – Berlin – Bonn. 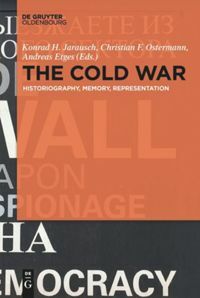 Political relations in the years 1949-1958“ (Polish); Habilitation (2007): „Polish efforts to German reparations in the years 1944/45-1975“ (Polish). Research Associate at the history department of University of Wrocław (since 1991). Research interests: history of Germany and the German-Polish relations in 20th century; history of European integration, issues of historical culture and history politics; history of the Polish in Germany, Public History, international textbook research. Krzysztof Ruchniewicz, Dr. phil. habil. (*1967), ist Professor an der Universität Wrocław und Direktor des dortigen Willy-Brandt-Zentrums für Deutschland- und Europastudien (2002–2007 und seit 2009). Studium der Geschichte und osteuropäischen Geschichte an der Universität Wroclaw, der Universität des Saarlandes in Saarbrücken und der Phillips-Universität in Marburg. Dissertation (2000): "Warschau-Berlin-Bonn. Politische Beziehungen in den Jahren 1949–1958" (poln. ); Habilitationsschrift (2007): "Polnische Bemühungen um die deutsche Wiedergutmachung in den Jahren 1944/45–1975" (poln. ); Wissenschaftlicher Mitarbeiter am Historischen Institut der Universität Wroclaw (seit 1991); 2009 außerordentlicher Professor der Universität Wroclaw. Forschungsschwerpunkte: Geschichte Deutschlands und der deutsch-polnischer Beziehungen im 20. 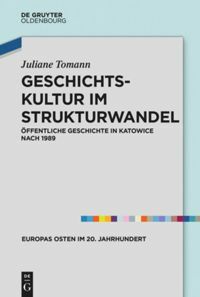 Jahrhundert; Geschichte der europäischen Integration; Fragen der Geschichtskultur und Geschichtspolitik; Geschichte der Polen in Deutschland, Public History, internationale Schulbuchforschung. Yet Another Memorial in Berlin? Po co jeszcze jeden pomnik w Berlinie? | Wozu ein Polen-Denkmal in Berlin? Should yet another monument in Berlin commemorate the Polish victims of the Second World War; in this case Polish citizens who suffered and died during the last war at the hands of German occupants? The Catholic churches in Poland are not just sacred objects, today they are also places of remembrance. One of many examples is the Zesłańców Sybiru (Chapel of the Siberian-deportees) in Wrocław. Unfortunate Choice of Words – or Is There More Behind It? “Polskie obozy” – świadome czy nieświadome fałszowanie historii? | Unglückliche Wortwahl – oder steckt mehr dahinter? In the textbook "Geschichte und Geschehen" the term "mass deportations to Polish camps" is erroneously used in the chapter about the Holocaust. The knowledge of the textbook’s authors, editors and teachers has thus been called into question. In the history of various cities, one can observe many examples of turning points that remind us of these cities’ political, cultural, or economic situation. They represent borderline situations that can still be seen today, even after many decades. This can be said about Wrocław in particular.